A Canadian online advertising company widely credited for its outsized role in convincing British voters to leave the European Union was also used in an effort to sidestep Brexit campaign spending limits, according to a whistleblower. A Canadian online advertising company widely credited for its outsized role in convincing British voters to leave the European Union was also used in an effort to sidestep Brexit campaign spending limits, according to a whistleblower — though whether the firm was in on the alleged scheme itself is not clear. During the 2016 referendum, a group called Vote Leave — backed by then-mayor of London Boris Johnson, among others — was the officially designated campaign for the leave side of the referendum. According to previously reported financial disclosures, about 40 per cent of Vote Leave's campaign fundraising cap was spent on a small Victoria, B.C.-based company called AggregateIQ (AIQ) — £3 million ($5.4 million) in all. Other third-party campaigns could also raise money in support of the push to leave, and had their own smaller fundraising cap, as long as they remained independent of the official campaign. AIQ also happened to do work for one of these supporting campaigns, a youth-focused group called BeLeave, that was presented as separate from Vote Leave. AIQ's role in the campaign is well known. 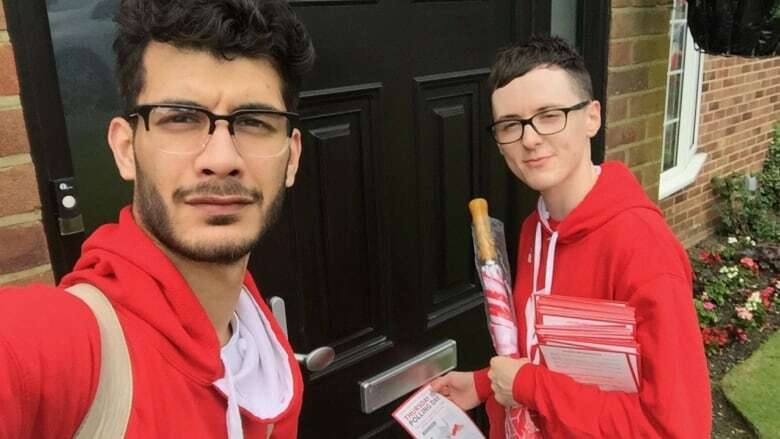 What's new, according to whistleblower and former Vote Leave volunteer Shahmir Sanni — and documents obtained by CBC News, the Guardian, and the New York Times — is that the connection between the Vote Leave and BeLeave campaigns was allegedly much closer than previously disclosed. The extent of that connection is important. It is not against the law for the official campaign to co-ordinate spending with third-party campaigns, but under British election laws, they must share a single spending cap. Sanni is claiming that's not what happened in practice. "Now, for the first time, we have a really substantial body of evidence which proves that these two campaigns were very, very closely linked — contrary to what they've said," Tamsin Allen, Sanni's lawyer, said in an interview with CBC News from London on Friday. "If there was overspending, then what has been trumpeted as the will of the people might have been, in fact, something that was paid for," she said. Dominic Cummings, who ran the Vote Leave campaign, and Darren Grimes, who ran BeLeave, both denied the allegations of illegal spending in statements to The Guardian. In November last year, the U.K. Electoral Commission opened an investigation into whether the two campaigns' use of AIQ's services broke British election law. Two prior assessments conducted early in 2017 did not result in any action. If you have a tip, you can contact this reporter securely using Signal or WhatsApp at +1 416 316 4872, or via email at matthew.braga@cbc.ca. For particularly sensitive messages or documents, consider using Secure Drop, an anonymous, confidential system for sharing encrypted information with CBC News. 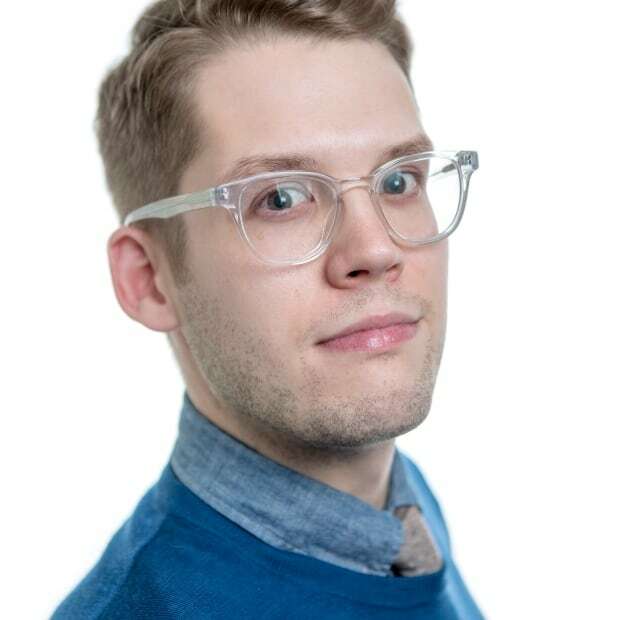 AIQ co-founders Jeff Silvester and Zack Massingham, both based in Victoria, did not respond to multiple requests for interviews. But in a statement, the company denied any wrongdoing. 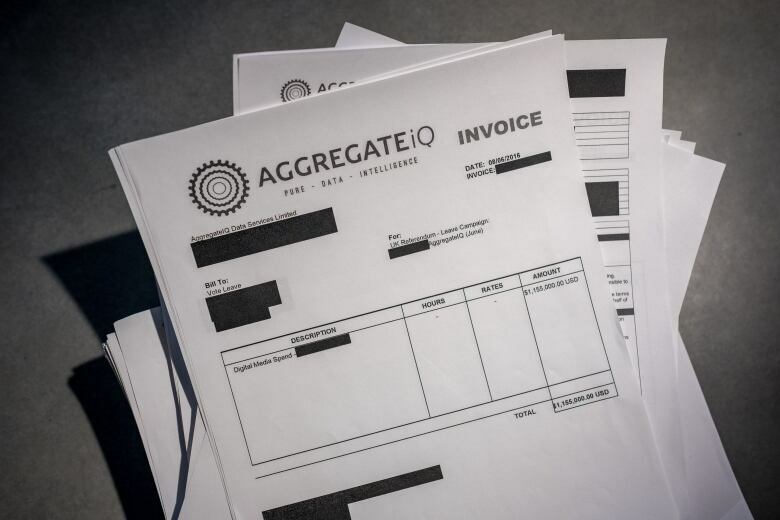 "AggregateIQ works in full compliance within all legal and regulatory requirements in all jurisdictions where we operate," the company told CBC News, and "has never knowingly been involved in any illegal activity." Sanni submitted his evidence to the U.K.'s Electoral Commission last week. There are plans to release the material to the public in the days ahead, his lawyer says — "and we'll be asking people to decide for themselves." 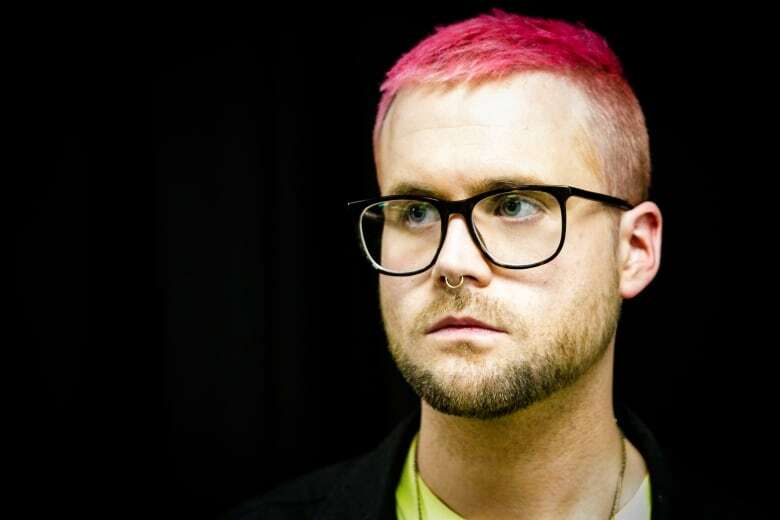 The story starts with Christopher Wylie, the Canadian whistleblower who ignited a furor this week after exposing the practices of British political consulting firm Cambridge Analytica. The company obtained the private information of more than 50 million Facebook users, and used the data to link personality traits to voting behaviour for clients such as Donald Trump's 2016 election campaign. Documents obtained by CBC News show Wylie sent a fateful email to AIQ co-founder Silvester in August 2013. He described Silvester as a longtime colleague and mentor; the two had both worked for Canada's federal Liberal Party. In the email, Wylie told him about his new job as director of research for a British political consulting firm called SCL, the parent company of what would eventually become Cambridge Analytica. "We mostly do psychological warfare work for NATO," Wylie wrote in the email. And he attached a brochure. Might Silvester want to join the cause? "You need a Canadian office," Silvester wrote back later that night. In November, Silvester and co-founder Zack Massingham signed their first contract with SCL. They named their company AggregateIQ — and although Wylie says it was technically separate from SCL, he says it was internally referred to as the British company's Canadian arm. AIQ disputes this. "AggregateIQ has never been and is not a part of Cambridge Analytica or SCL," the company said, and "has never entered into a contract with Cambridge Analytica." For the next few years, Wylie says AIQ worked on projects for Cambridge Analytica around the world in relative anonymity — that is, until its work on Brexit became front-page news. That work is now the subject of investigations by the B.C. Office of the Information and Privacy Commissioner (OIPC) and Britain's Information Commissioner — though the jurisdiction in which AIQ is based may make things difficult for the latter. "They're based outside the U.K. and it's going to be very difficult to get that evidence from them," said Allen, Sanni's lawyer. AIQ said it is cooperating with the OIPC's investigation, and told The Globe and Mail last year that it would cooperate with any probe. Central to the investigation is whether Vote Leave coordinated with BeLeave to spend an additional £625,000 ($1.1 million), which would have otherwise pushed the official campaign over its spending limit — and whether AIQ knowingly helped them do it. Vote Leave gave the money to BeLeave, which was then spent on services provided by AIQ. In a statement, a lawyer representing AIQ said the company "was not aware of any evidence of co-ordination between Vote Leave and BeLeave to break any rules." The arrangement was first reported in 2016. The organizers of both campaigns have maintained ever since that BeLeave was a totally separate organization, acting on its own, and that there was no co-ordination on how the money should have been spent. However, Sanni submitted written evidence and supporting documents to Britain's Electoral Commission that allege the opposite is true. According to Sanni, BeLeave actually began as a youth outreach initiative associated with Vote Leave. Vote Leave and BeLeave even worked out of the same office in central London. Emails shared with the CBC suggest that BeLeave received direction and guidance from Vote Leave staff. Photos appear to show BeLeave volunteers even campaigned for Vote Leave at an event held the day before the referendum. 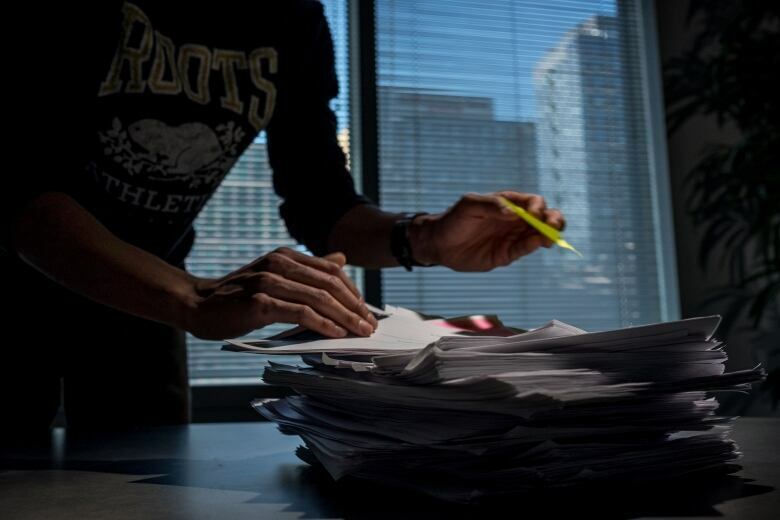 "There was nothing independent about it all," wrote Sanni in his submission to the commission. To top it all off, Sanni provided evidence that a former Vote Leave staffer, Victoria Woodcock, attempted to remove her and other former colleagues' access to a shared drive also used by the BeLeave campaign, while the Electoral Commission's initial investigation was still ongoing — though Sanni does not know why. In a statement to The Guardian, Woodcock dismissed the allegations that she "knowingly and deliberately deleted evidence which would be relevant to an investigation in an attempt to frustrate it" as "untrue," while Vote Leave said its staff acted "ethically, responsibly and legally in deleting any data." Vote Leave and BeLeave weren't the only groups working out of their London office, Sanni alleges. AIQ co-founder Massingham and a colleague had also flown to Britain from Victoria, Sanni said, and would have been working in his office until the day of the referendum, too. Initially, that work was for Vote Leave. But in the days leading up to the vote, BeLeave received a total donation of £625,000 from Vote Leave. And according to a conversation Sanni says he had with Grimes, who ran BeLeave, they couldn't decide how to use the money themselves — say, to pay for travel expenses. The whole amount, Grimes is alleged to have said, had to go to AIQ. How, exactly, AIQ spent the money isn't clear. But according to Grimes in a letter to the British Information Commissioner, AIQ's advertising resulted in the collection of a mere 2,000 new email addresses and phone numbers from supporters in the final days of the campaign. Sanni believes those results were modest for the amount that AIQ was paid. "There is a hole in this story, which is precisely what AIQ did with all the money they were given by campaigners in the EU referendum," said Allen, Sanni's lawyer. "What happened to that money? Who were they working for, and what messages did they put out, to whom, using what data? That question can only be answered by people working for AIQ. And they're the ones who need to come here and answer it." AIQ told CBC News that the payment it received "was only used for BeLeave's campaign and purposes, and no other purpose." 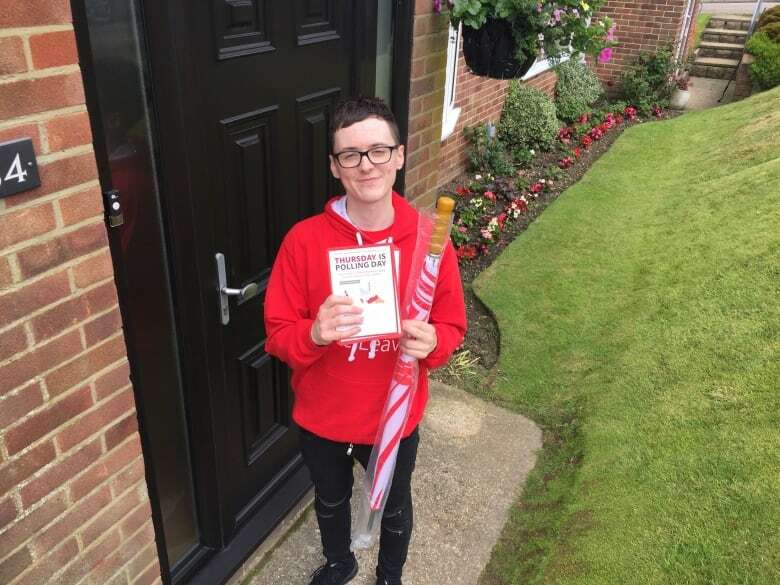 It wasn't until last summer, around the time more detailed reports began to emerge, that Sanni said he realized something was wrong — concluding that he, an inexperienced volunteer, had been used by the Vote Leave's senior staff in what Sanni claims was a "scam" to spend more money than legally allowed.